The determination of amino acids requires the hydrolytic splitting of protein into its individual building blocks, which behave very differently during hydrolysis due to the functionality of the R side group. 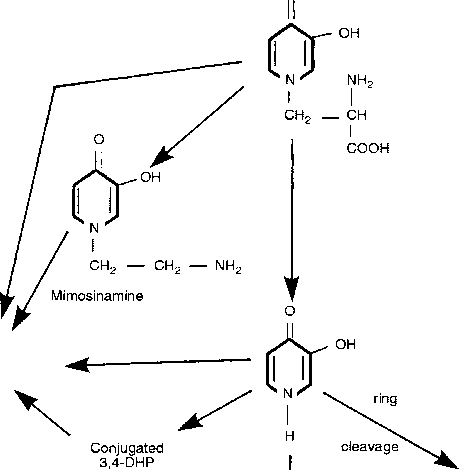 Asparagine and glutamine lose the amide residue in the side group and form aspartate and glutamate, respectively. The resulting ammonia can be determined chromatographically, but amino acid analysis always determines the sum Asx or Glx of these amino acid pairs. Tryptophan is largely destroyed by acid hydrolysis whereas methionine, and especially cystine, are converted by partial oxidation into several derivatives. Standard hydrolysis conditions in the EU and USA are 24 h with 6 M hydrochloric acid at 110°C, the boiling point of this acid. This can be done either under reflux or in a closed vessel in a thermostatized oven. These conditions are a compromise for optimal recovery of all amino acids. Serine and threonine, which carry one hydroxyl group, are slowly degraded with increasing length of hydrolysis or increasing acid strength by the splitting off of water and the branched-chain amino acids isoleucine, leucine and valine, especially if they are adjacent in the protein, are more slowly released by sterie hindrance of the hydrolysis. Albin et al. (2000a,b) recently studied this topic and the effect of the acid concentration for soybean products, Rowan et al. (1992) tested the effect of the hydrolysis time (8-72 h) for diets, ileal digesta and faeces samples. The optimal recovery relative to the standard conditions is frequently 5-10%, in some cases 20% or even higher. The authors recommend the use of correction factors. Hydrolysis in a microwave oven at about 150°C can reduce the time needed for splitting the protein to a few minutes (Carisano, 1992; Joergensen and Thestrup, 1995; Marconi et al., 1996; Shang and Wang, 1997; Kroll et al., 1998). If only minute amounts of protein are available hydrolysis with gaseous hydrochloric acid (Schrijver et al., 1991; Molnar-Perl and Khalifa, 1994) is of benefit. Fountoulakis and Lahm (1998) produced a survey of protein hydrolysis techniques, which also includes alternative acids such as methan- or p-toluene-sulphonic acid or the use of enzymes (Hauck, 1990; Chen et al., 1996). Weiss et al. (1998) compared different hydrolysis techniques by means of chromatographically purified proteins. In the method of standardization of the EU (Commission Directive 98/64/EC) the use of correction factors for the hydrolysis, as previously practised in the Netherlands, was deliberately ruled out, however. The side reactions of hydrolysis are matrix-dependent and can be considerable, especially in microwave hydrolysis. Correction factors would therefore have to be defined individually for all feed raw materials, which would pose problems, especially in the case of compound feeds. Moreover, differences in the use of correction factors would probably increase the analytical error when compiling tables of raw material composition. The uniform application of standard hydrolysis conditions worldwide on the other hand produces highly consistent amino acid analyses. The sulphur-containing amino acids are oxidized prior to hydrolysis in the protein with performic acid to methionine sulphone and cysteic acid, which survive acid hydrolysis without losses. In the official methods of the EU and the AOAC this is done by leaving a sample corresponding to 10 mg nitrogen to react overnight with 5 ml performic acid (16 h) at 0°C. The latter was previously generated in situ at room temperature from 4.5 ml of 88% formic acid and 0.5 ml of 30% hydrogen peroxide with the addition of a little phenol and cannot be concentrated or stored. These reaction conditions have been standardized for decades and are based on the work of Sehram et al. (1954). Excess performic acid can later be destroyed by the addition of hydrogen bromide or hydrogen chloride, forming bromine or chlorine, which have to be drawn off with a rotary evaporator. Spindler et a I. (1984), Elkin and Griffith (1985) and Gehrke et al. (1987) studied the recovery of all amino acids under these conditions and showed that all acid-stable amino acids, with the exception of phenylalanine, histidine and tyrosine, are completely recovered from the hydrolysate after previous oxidation. Mason et a I. (1980a,b) and Bech-Andersen et al. (1990) tried to streamline this procedure and introduced the addition of sodium metabisulphite salt to destroy performic acid. The advantage is that it eliminates the need for rotary removal of the halogen prior to hydrolysis and that phenylalanine and histidine can also be determined from the oxidized hydrolysate. This method is capable of determining all amino acids except tryptophan and tyrosine. However, it is important to remember that these hydrolysates now contain sulphuric acid or hydrogen sulphate formed from sulphite which, when concentrated for the complete removal of the hydrochloric acid, can form sulphate esters with serine and threonine which interfere with cysteic acid in the amino acid analyser. The EU method based on this variant therefore suggests neutralization of the hydrolysates, which can be readily automated, or the partial removal of the hydrochloric acid by distillation. Llames and Fontaine (1994) compared both variants of oxidation and acid hydrolysis in a worldwide collaborative trial, with 28 participants, using broiler starter and finisher feed, maize, fish-meal and poultry meal, and obtained equivalent results (Table 2.1). Toran et a I. (1996) also suggest oxidation for the determination of cystine and methionine in infant formulas. Slump and Bos (1985) describe an interference of the oxidation of methionine, if chloride levels from salts far in excess of 1% occur in for example supplementary feeds or concentrates. This causes the performic acid to be partially degraded, while forming chlorine, so that only cysteic acid but not methionine sulphone is formed completely. If this happens the authors suggest oxidation with diluted performic acid for methionine determination, which is not suitable for cystine. The German VDLUFA (1997) has nominated this procedure as the official method of analysis for methionine determination in chloride-rich diets. We should also mention the work of Tuan and Phillips (1997) who studied cystine recovery in diets based on casein and sorghum and in digesta samples as mixed disulphide with the addition of 3,3'-dithiodipropionic acid during hydrolysis with hydrochloric acid in evacuated ampoules at 145°C and different times. At a 100-fold molar excess of the reagent they recovered pure cystine at the rate of 99%. Very inconsistent results were however obtained in feed and digesta, which makes a final assessment of the method impossible. Table 2.1. Comparison of three oxidation and hydrolysis procedures in an international collaborative study with 28 participating labs and five samples in blind duplicates. The mean amino acid contents obtained were equivalent, if the respective method is applicable. aOx (S02), oxidation, where performic acid is destroyed by addition of sodium metabisulphite and followed by standard hydrolysis (6 mol h1 HCI, 110°C, 24 h); Ox (HBr), oxidation, where performic acid is destroyed by addition of hydrogen bromide and followed by standard hydrolysis; Hyd, only standard hydrolysis. sterilizing autoclave (130°C, 8 h), added the internal standard only after the hydrolysis and obtained the same recovery each time, which they estimated at about 92% for defined proteins and pure tryptophan. Bech-Andersen (1991) suggested hydrolysis in an autoclave with sodium hydroxide solution, adding lactose to enhance recovery and a-methyltrypto-phan as internal standard. Ranfft and Faure (1993), who conducted an intercomparison with compound feed and four raw materials using different in-house methods of 14 European laboratories, found coefficients of variation ranging from 4 (soy) to 10% (maize) and observed no significant differences in relation to the hydroxide used, temperature, time or the hydrolysis technique. Landry and Delhaye (1992a,b, 1994a) and Delhaye and Landry (1992, 1993) conducted intensive studies on tryptophan determination. Three hydroxides, different times and temperatures for hydrolysis and several assay procedures were varied and compared. They favoured as a result the hydrolysis with barium hydroxide in an autoclave with added 5-methyltrypto-phan as internal standard to compensate for losses. They also suggested HPLC conditions on reversed phase (RP)-silica gel with a separating time of only 10 min and fluorescence detection. Landry and Delhaye (1994b) evaluated the results of two collaborative studies by normalizing the tryptophan values of all other participants relative to their own assays. They were convinced that the above conditions bring 15-20% higher tryptophan recovery. Most other authors also suggested HPLC with UV or fluorescence detection, the latter being preferred because of its specificity for tryptophan. Landry and Delhaye (1992a) also compared separation by gel filtration on Sephadex, analysis of the hydrolysates with a cation exchanger or eolorimetrie analysis after staining with p-dimethylamino-c innamalde-hyde. Other authors also determined tryptophan eolorimetrieally by the acid ninhydrin method (Pintér-Szakács and Molnar-Perl, 1990), after conversion with p-dimethyl-amino-benzaldehyde (Lee et ai, 1996) or nitrous acid (Shah et ai, 1996). However, on comparing this procedure with HPLC analysis, the simple operation and greater precision of the HPLC method is emphasized. The general acceptance of HPLC has therefore led to the virtual disappearance of the previously widespread spectrophotometric tryptophan methods. Molnâr-Perl (1997) has compiled a review of methods of tryptophan analysis in peptides and proteins, including descriptions of techniques not normally used in feedingstuffs, such as acid or enzymatic hydrolysis, measurement by gas chromatography or derivative spectroscopy whithout chemical derivatization. Carisano (1993), who employed microwave hydrolysis with lithium hydroxide under temperature control, was able to hydrolyse meat and fish completely in less then 60 min, obtaining results similar to those with barium hydroxide (110°C, 12 h). He derivatized tryptophan with o-phthal-dialdehyde (OPA) prior to HPLC, whereas Algeria et al. (1996) converted with phenyl-isothiocyanate (PITC). An expert group of the EU Commission, DG XII, has been working for 4 years on comparative studies with a view to establishing a harmonized system of feedstuff analysis in the EU. Fontaine et al. (1998) reported that three collaborative trials with 12-16 participants tested lithium hydroxide versus sodium hydroxide and barium hydroxide, the use of an internal standard during or after hydrolysis, the suitability of 5-methyl- or a-methyltryptophan as internal standard and the use of evacuated or nitrogen-purged hydrolysis vessels versus autoclaving. Landry and Delhaye (1994b), who also participated, presented the view, as mentioned above, that 5-methyltryptophan must be present during hydrolysis with barium hydroxide and that by using their special autoclaving conditions about 15% higher tryptophan concentrations are obtained than with other techniques. The second collaborative trial showed, however, that irrespective of the hydrolysis technique the use of this internal standard generated analytical values in all laboratories that were a significant 13-20% higher than with a-methyltryptophan. A comparison of the hydrolytie stability of the two internal standards revealed that the 5-methyl derivative is less stable than tryptophan, whereas a-methyltryptophan is considerably more stable. This leads to a marked overcorrection of the small hydrolysis losses in the case of protein-bound tryptophan, so that the addition of an internal standard during hydrolysis was rejected. The best results were obtained with 4 M barium hydroxide (110°C, 20 h) in an autoclave. Moreover, the addition of the stable a-methyltryptophan after hydrolysis greatly improved the comparability of the results between laboratories. The determination of supplemented tryptophan was also optimized, the best technique being extraction with 0.1 M hydrochloric acid with an internal standard. Publication of the Commission Directive (2000) made the adopted method compulsory across the EU. The accuracy achieved was excellent, with a reproducibility CVR of between 2.2 and 6.3%, and 1.5-4.7% in a second test.